Only 15 miles from downtown Boston, The Westin Waltham Boston provides easy access to Concord, Lexington, and Cambridge. And, with IBM and Microsoft offices just one mile away, business travelers will find our location incredibly convenient. Host a memorable meeting in our 20,500 square feet of space, and stay fit in the WestinWORKOUT Fitness Studio. The outdoor terrace at Seventy @ Third provides the perfect spot for a wholesome lunch, while the Lobby Lounge invites you to relax with cocktails. Our updated 351 guest rooms and suites feature the famous Heavenly Bed and Heavenly Shower to ensure a comfortable stay. Maintain productivity with High Speed Internet Access, rise and shine with Starbucks coffee, and relax with a flat screen TV. 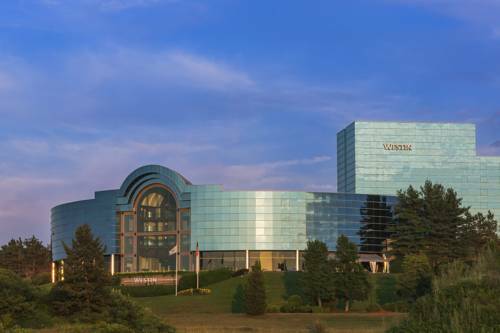 Set in the rolling hills of Waltham just 15 miles from downtown Boston, The Westin Waltham Boston offers guests a charming natural setting with direct access to the biotech hub of Waltham and Lexington. IBM, ADP, Astra Zeneca, BMC Software, CSC Consulting, Fresenius Medical, Forefront Conference Center, and Microsoft offices are located within one mile from the hotel making us the preferred choice of business travelers. Whether work or play brings you to Waltham, youll find no shortage of things to do in the area. Were just three miles from Massachusetts Turnpike and just a short drive from Thoreaus Walden Pond and the historical battlegrounds of Lexington and Concord. Nearby youll find prestigious universities such as Bentley University and Brandeis University. Within 20 minutes you can be in the heart of Boston. Browse the boutiques on Newbury Street, enjoy authentic Italian in the North End, and take in a Red Sox game at Fenway Park. Guests on the go can stop by We Proudly Serve Starbucks for freshly brewed Starbucks coffee, specialty drinks, pastries, light sandwiches, and snacks. Get a taste of New England hospitality at the Lobby Lounge, where you can sample expertly mixed cocktails, fine wines, and premium beers alongside savory bites from our tempting snack menu. Savor Relish s Signature Burger, made with Kobe beef, or the bold Watch City Burger, made with bison meat and topped with two fried eggs. All of our fresh, premium burgers pair perfectly with handcrafted cocktails and Cambridge Reservoir views.